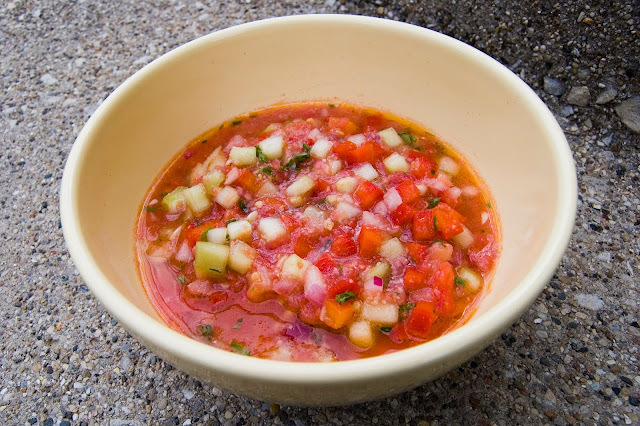 Gazpacho is a type of soup which is made by raw vegetables, this soup is more eaten in Spain or you can say Spanish gazpacho soup. So let’s see how to make gazpacho soup. Firstly take a bowl in that add all vegetables and mix them well. Then place 2/4 part of the mixture in a food processor and then take it out and again add back into the mixture. You can serve it with toasted baguette or other bread.